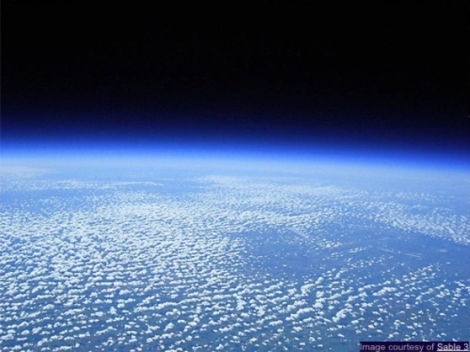 Launching high-altitude balloons to take pictures of the Earth from space is great fun. Heck, even credit card commercials are now suggesting you cash in your rewards points to organize a space balloon adventure for you and your friends. Capturing snapshots of the Earth from space is such a good time that Workshop 88, a hackerspace located in the Western suburbs of Chicago, is making a contest out of it. They recently kicked off their second annual “Hackerspaces in Space” competition, a contest to see who can build the best near space balloon for under $250. The contest pits individuals, groups, and hackerspaces against one another, assigning each team a score based on the performance of their high-flying rig. The winner of the contest will have their design replicated by the crew at Workshop 88, who will then hand out the space balloon kits to randomly selected K-12 schools around the country. If this sounds interesting, but a contest entry just isn’t in the cards, you can always support the kit distribution by funding their Kickstarter project here. They both work fine here. Does launching a balloon such as this require gaining clearance from the appropriate authorities? Such as the FAA? Or the nearest airport air-traffic control tower? I am considering taking on a similar project, but not in the Chicago area, and want to know the feasibility from the standpoint of occupying airspace in the the USA. Back in 2001, NASA built a propeller-powered solar electric UAV that sustained 96,000 feet for 40 minutes. In the 1970s, the Russians sent a supersonic jet fighter to an altitude of well past 120,000 feet. The “edge of space” is held by most to be at 100km, about 62 miles, or 328,000 feet. Can we quit calling these 80,000-90,000 foot altitude balloon launches “near space” yet?